Crazy Heartbeat Electric Bass Guitar Rock Music Gift Shirt 2 by Electric Bass Guitar Music Tee Shirt Gift at Way North of Nashville. Hurry! Limited time offer. Offer valid only while supplies last. Buy it now. Crazy Heartbeat Electric Bass Guitar Rock Music Gift Shirt. Whether for birthday, christmas or any celebrations or a special occasion. Buy it now. 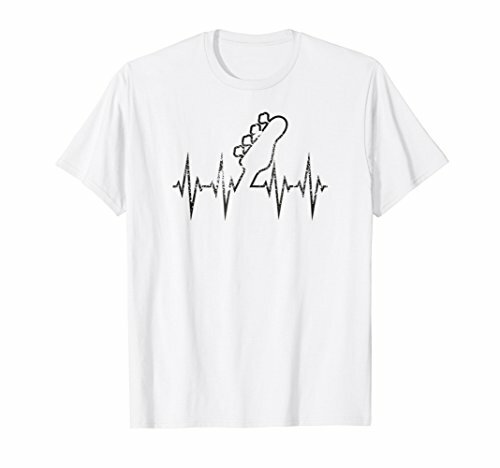 Crazy Heartbeat Electric Bass Guitar Rock Music Gift Shirt. Whether for birthday, christmas or any celebrations or a special occasion. Electric bass let you feel the music and your heartbeat shows your love to deep rock music tones. Make the strings vibrate perfectly. Follow the bass clef or just play free in front of your audience. In a cool grunge look. So buy it right now as a gift or by wear it yourself. Click on brand for other colors. Electric bass let you feel the music and your heartbeat shows your love to deep rock music tones. Make the strings vibrate perfectly. Follow the bass clef or just play free in front of your audience. In a cool grunge look.